What Should Bale Do must issue an apology. Previously on this blog, it was stated that the Fast & Furious franchise is in need of a reboot starring Bale (i.e. a Bale-Out). However, after viewing Fast Five, it is clear that the franchise does not need any rebooting, rebranding, re-imagining, or any of the above. What it needs is yet another magnificent sequel in this mind-blowing, innovative franchise… with Christian Bale as the newest co-star. You might be asking yourself, why? The Fast & Furious films are not the typical films in Bale’s repertoire. Which can be answered with a simple: exactly. Look at these all-stars. They’re only missing one key player. For all the mockery they receive, there is a certain inalienable truth to the Fast and Furious Films: they are enjoyable. Wildly, shamelessly enjoyable. 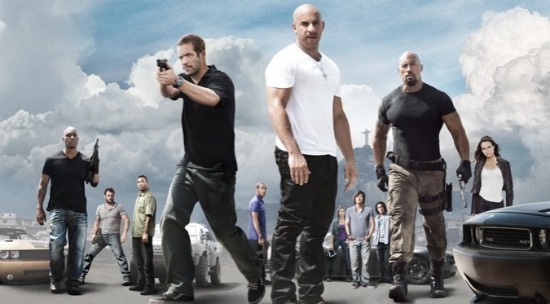 The first ten minutes involve a really intense bus crash (during which no one gets hurt), some really intense dialogue, a car driving out of a train, an explosion on a train, some punching and shooting, more intense dialogue, and a car driving off a cliff into a river with Paul Walker and Vin Diesel jumping out of the car and falling next to it so they all fall into the river together. I won’t ruin the rest of the plot for people who haven’t seen it yet, but I will say this: the movie never slows down, and it gradually becomes a heist film. Or something. A revenge-driven heist film with an ensemble cast. 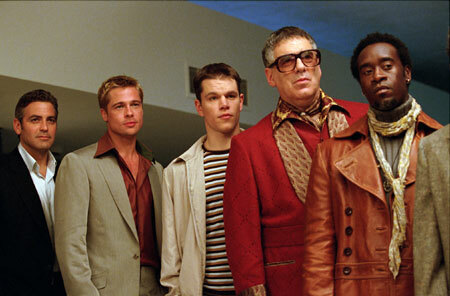 So basically, it’s a lot like Ocean’s Eleven, but with a key difference: it’s better. Yeah, these guys look cool. But what are they like on the inside? There are several key differences between Ocean’s Eleven and Fast Five. The similarities are obvious (franchises, numbers in the name, stealing, etc.) But where the Clooney Squad is a bunch of charming, malicious, self-centered, well-dressed sociopaths who seem to be motivated by a desire to own more clothes, and mirrors to admire their new clothes in, the characters in Fast Five have deeper emotions: they are refugees with no money, fleeing from America, running from the law, desperate and out of options. Furthermore, the central three characters (O’Connor, his girlfriend Mia, and her brother Dom) are motivated by their belief in family and desire to stay together. They are out of options, so they’re doing the only thing they know how to do: drive cars really, really fast. They have two different antagonists: the Bad Guy, who also likes stealing cars but is evil; and The Rock, who is a cop who wants to catch them because he thinks they’re murderers. We need to get Bale in on this. The good news is that rumors already have it that the sixth Fast & Furious will involve more heisting. And if you stuck around for the after-credits bonus, you know that it involves the Autobahn, more of The Rock, and probably all the other people. Who can Bale play? Well, we already have The Rock as a cop (or FBI agent, or something). Even if he is a sort of morally ambiguous cop, we don’t need Bale as his hot shot partner, crooked partner, naive rookie, or angry chief. But as there is a vacancy in the Main Bad Guy position, why don’t we have Bale as the evil Swiss Banker who was responsible for banking all of Fast Five’s Bad Guy’s money. They decide that they’re going to steal his money, for some reason… and in order to do it, they both have to race cars really fast through Europe, jump cars over rivers, and blow things up. There are several more reasons this is a good idea. One is that, in all reality, there is something very impressive going on with the Fast & Furious series. 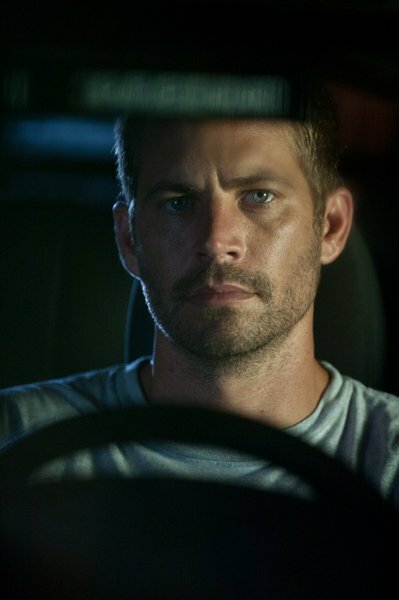 When it comes to race, identity, and ethnicity, Fast Five is a breath of fresh air as it does not superficially focus the plot or the identity of the characters around any of these elements (and NPR agrees). It’s not about a crew of multi-racial robbers coming to terms with their race. The African-American characters are far more developed than just stereotypical black guys (and there is more than one black guy), various characters could be more than one possible race and their race is never discussed, and the Asian-American male has a requited love interest who is not an Asian female. Think about that. Have you ever seen a Hollywood film in which an Asian male was a strong character with an identity entirely independent of his ethnic origins, and not only that, but he has a romantic storyline? If the answer is yes, you’re probably thinking of a Jackie Chan movie, and even he usually doesn’t have a love interest. 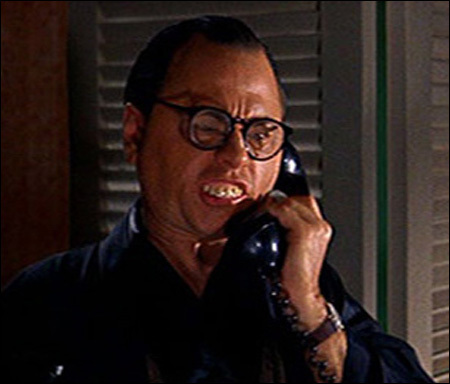 Consider that the one Asian character in the Ocean’s Movies is a guy whose entire role is being an acrobat, hiding in things, jumping around, and not knowing English. At least most characters today have more depth than the blatant, offensive racism of Award-winning Breakfast at Tiffany’s, but Fast Five still is head-and-shoulders above the rest, in the sense that racial stereotypes appear to have never even been in a factor in the construction of these characters: they might be shallow at times, but the shallowness is not a factor of using racial generalizations to fill in the gaps on their character’s personas. It doesn’t get much worse than this. That’s why I made this a small image. Finally, Bale should get involved with Fast and Furious: The Gang Goes to Europe! (or whatever it’s going to be) because, well, they could use his acting tips. Yes, the film is magnificent, but there are times when the acting isn’t quite what it could be. With Bale as the villain, it might inspire them to kick things up his notch. After a scene in which Bale robs one of his own banks and then murders a bank teller with a letter opener just to teach them a lesson about security, it will really set a nice tone for the kind of acting expected out of Paul, Vin, Dwayne, and Luda. Every actor in Fast Five has a very particular style, but Bale could help them learn to diversify. Finally, I think Dwayne “The Rock” Johnson could really take a lesson from Bale. Dwayne’s approach to this role mostly seems to be sweating really profusely while shouting his way through his lines as fast as possible. Also, not blinking. It is probably worth pointing out that even when Bale does get involved in this franchise, it’s not going to change any of this acting, as these characters are pretty well-established as all having very particular emotional responses to everything. One last benefit that can come from Bale acting in Six Fast, Six Furious: perhaps he can get connected with some of The Rock’s political buddies. I really look forward to Bale’s eventual political career (which is sadly non-existent as of now) and he has to get to know whoever alerted Dwayne to bin Laden’s death before the public knew… which resulted in Dwayne being the first person to tweet about it. Seriously.